Unsurprisingly ‘green’ or ‘eco’ media studies has grown rapidly. Teaching his undergraduate ‘Green Media’ module to media, journalism, and politics students at the University of Worcester, in the UK, John Parham has come to realise that popular culture is what his students know; and a key terrain, therefore, on which the ecological resilience of future societies will be won or lost. Responding each year to the shifting ground of green media and cultural studies, John’s module explores press and broadcast journalism, social media, Hollywood, documentary, and ‘art’ film’, television, animation, music, comedy, and computer games. 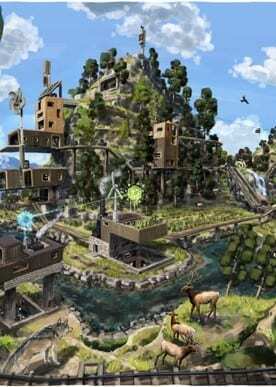 Each is discussed in relation to ecological theory, the historical emergence of environmental themes in that form, and the constraints and possibilities each offers to environmental awareness and activism. We start with obvious examples. 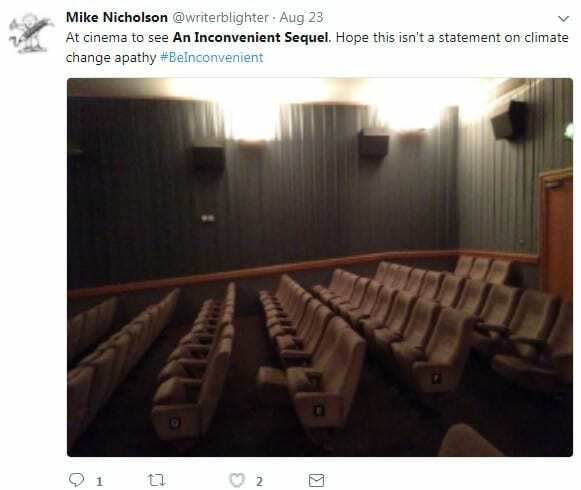 Nevertheless a screening of The Day After Tomorrow provides a perfect space in which to discuss whether mainstream media distorts ecological knowledge or, however imperfectly, raises awareness in audiences, like some of our students, who may never before have considered issues like climate change or sustainability. After that we gradually move towards emerging areas of ‘green media’ studies, often on the terrain of our students’ interests and expertise – the music they listen to, digital games they play, social media they use, or even, in one workshop, the environmental jokes they might tell! A ‘portfolio’ assignment comprises tasks by which students can develop an understanding of key ecological concepts before applying these in essays chosen around the cultural forms they most care about. Recognising that what Nicole Starosielski and Janet Walker call ‘resource media’ has become a key component of green media studies, a concluding portfolio task asks each person to consider the energy consumed by their smartphones, tablets, laptops etc, the precious, sometimes toxic metals out of which these are made, whether their devices are recycled or dumped, and who by. However, in a spirit of dialogue, the module aims not to simply implant environmental awareness. Rather, John encourages his students to (at least) think about how, even whether, they’ll apply ecological values in their everyday lives while he, in turn, is able to gauge relative levels of enthusiasm or apathy while picking up tips on the best new ‘green’ games, music, or comedians! A full description of the Green Media module, including a syllabus with readings and screenings, appears in the Sample Syllabi page on the ASLE website. John Parham teaches Media and Cultural Studies at the University of Worcester, UK where he is also Associate Head (Research) for Humanities and Arts. He is author of Green Media and Popular Culture (Palgrave Macmillan, 2016), and co-editor (with Louise Westling) of A Global History of Literature and the Environment (Cambridge University Press, 2017). John co-edits ASLE-UKI’s journal Green Letters: Studies in Ecocriticism (Routledge). With Alenda Chang he has recently co-edited (for Ecozon@: European Journal of Literature, Culture and Environment) the first journal special issue devoted solely to ‘green computer and video games’.